A ring crafted from silver. 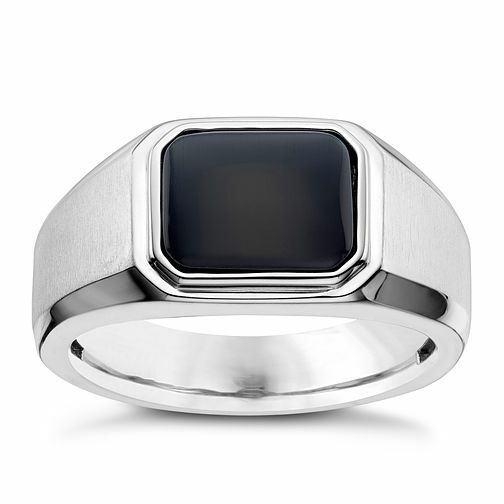 This is a distinctive men's ring, featuring a striking onyx rectangle at its centre, finished with a matt and polished pattern. Simple yet distinctive, this ring offers bold sophistication.